You can always count on emerging game studios to do things differently and to bring their own twist to slots. In fact, Side Winder by Just for the win (JFTW) does exactly that since this game, even if classic in appearance, redefine the standards of fruit machines. Indeed, this slot not only invites players to try a new game interface, but it also wants to see them winning a lot when triggering the Free Spins bonus since this slot offers progressive ways to win, and up to 1125! Which means Side Winder is indeed a very unique classic slot! 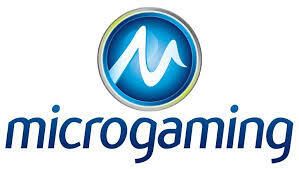 And since Microgaming distribute all games by JFTW. There’s a good chance you’ll stumble on this new slot at one point or another. So if you’re an avid casino player, you’d be wise to know more about it! So before describing the bonus features, allow us to say a few words on the game interface. In fact, when you load this slot, you’ll probably ask yourself what the arrows at the top and bottom of the reels do. Well, it’s simple, they’re part of the gameplay, and you’ll activate them when a wild symbol lands in view. In fact, after landing one or more wilds, you’ll see one or both “reels” spin to reveal up-wilds or down-wilds that will be added to the reels in the corresponding position. Plus, they add ways to win! Also, it’s worth knowing that the top and bottom arrows play a key role in the Free Spins bonus. Indeed, both “reels” will be active in every spin after triggering the feature with 3 or more Side Winder logo. Also, know that these arrow reels add 882 ways to win to the standard 243 ways to win. Which means the Free Spins bonus feature pays 1125 ways! It’s refreshing to see a classic slot packed with innovation! In fact, if we’re honest, we’ll admit that this slot pleasantly surprised us! Granted that its volatility index means that this slot will appeal to more experienced players, or to those who have a good bankroll to play with. Because all and all, the small wins are not that frequent, yet the big wins pack a serious punch especially if you get lucky in the Free Spins bonus. Penny slots are super fun, and Side Winder is a memorable game! So, try it today at any casinos that offer Microgaming slot and see what happens when a classic slot step into this millennium! Have fun!